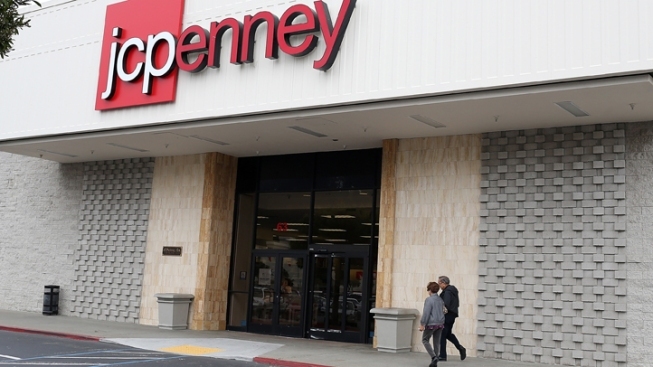 J.C. Penney has ousted CEO Ron Johnson and brought back Mike Ullman. J.C. Penney's board of directors has ousted CEO Ron Johnson after only 17 months on the job as a risky turnaround strategy backfired and led to massive losses and steep sales drops. The department store chain said late Monday in a statement that it has rehired Johnson's predecessor, Mike Ullman, 66, who was CEO of the department store chain for seven years until November 2011. The announcement comes as a growing chorus of critics including a former Penney CEO, Allen Questrom, called for his resignation as they lost faith in an aggressive overhaul that included getting rid of most discounts in favor of everyday low prices and bringing in new brands. The biggest blow came Friday from his strongest supporter, activist investor and board member, Bill Ackman, who had pushed the board in the summer of 2011 to hire Johnson to shake up the dowdy image of the retailer. Ackman, whose company Pershing Square Capital Management is Penney's biggest shareholder, reportedly told investors that Penney's execution "has been something very close to a disaster." On Saturday, Ullman received a phone call from Penney's chairman Thomas Engibous asking him to take back his old job, according to Penney spokeswoman Kate Coultas. The board met Monday and decided to fire Johnson. Neither Johnson nor Ullman were available for an interview. Until early last week, some analysts thought the board would give the former Apple Inc. and Target Corp. executive until later this year to reverse the sales slide. A key element of Johnson's strategy was opening new shops featuring hot brands to help turn around the business. They began opening last year and had been faring better than the rest of the store. "I truly believed that he had until holiday 2013," said Brian Sozzi, CEO and chief equities strategist Belus Capital Advisers. "Today's announcement is an indictment of his strategy." Johnson's removal marks a dramatic fall for the executive who came to Penney with much fanfare. There were lofty expectations for the man who made Apple's stores cool places to shop, and before that, pioneered Target's successful "cheap chic" strategy by bringing in products by people such as home furnishings designer Michael Graves at discount-store prices. Few questioned Johnson's savvy when it was announced in June 2011 that he was leaving his role as Apple's senior vice president of retail to take over the top job at Penney, a chain that had gained a reputation in recent years of having boring stores and merchandise. But Johnson's strategy led to spiraling sales and losses. The initial honeymoon with Wall Street ended soon after customers didn't respond favorably to his changes. Johnson revised his strategy several times in an attempt to bring back shoppers with little success. The turnaround plan was closely watched by industry observers who wanted to see if Johnson could actually change shoppers' behavior. The plan failed and now worries are mounting about the company's future. Penney's stock price Monday evening showed investors' frustration with Johnson and it's uncertainty about Penney's future. When news began to leak after the market closed that Penney was ousting Johnson, the stock, which had closed at $15.87 in the regular session, climbed nearly 13 percent to $17.88 in after-hours trading. But as pleased as investors were about getting rid of Johnson, they didn't appear impressed with his replacement. After Penney announced Ullman would take over, the stock reversed course falling as far as 11 percent from its regular closing price, to $14.10. That's 21 percent from its after-hours high. Under Ullman, the chain brought in some new brands such as beauty company Sephora and exclusive names like MNG by Mango, a European clothing brand, but he didn't do much to transform the store's stodgy image or to attract new customers. He's expected to serve mostly as a stabilizing force, not someone who will make changes that will completely turn the company around. "What they need is a little bit of stability and essentially adult supervision," said Craig Johnson, president of Customer Growth Partners, a retail consultancy. "(Ullman) did nip-and-tuck surgery," said Craig Johnson, president of Customer Growth Partners, a retail consultancy. "But this was a place that needed radical surgery." Sozzi said he thinks that Ullman will only serve as an interim CEO. He expects the Plano, Texas company's board will hand off the job to another executive who may want to take the company private. Ullman is getting a base salary of $1 million and the company didn't sign an employment agreement, according to a Securities and Exchange Commission filing. Johnson's future at Penny became uncertain after the department store retailer reported dismal fourth-quarter results in late February that capped the first full year of a transformation plan gone wrong. Penney amassed nearly a billion dollars in losses and its revenue tumbled almost 25 percent, from the previous year, to $12.98 billion. Under Johnson, 54, Penney ditched coupons and most of its sales events in favor of everyday low prices. It's bringing in hipper designer brands such as Betsey Johnson and updating stores by installing specialty shops devoted to brands such as Levi's to replace rows of clothing racks. Johnson's goal was to reinvent Penney's business into a trendy place to shop in a bid to attract younger, wealthier shoppers. Johnson, the mastermind behind Apple's profitable stores, rolled out his plan and it turned off shoppers who were used to heavy discounting. Once-loyal customers have strayed from the 1,100-store chain. It hasn't been able to attract new shoppers to replace them. Initially, Wall Street supported Johnson's ideas. In a vote of confidence, investors drove Penney's stock up 24 percent to $43 after Johnson announced his vision in late January 2012. But as Johnson's plans unraveled, Penney's stock lost more than 60 percent of its value. Credit rating agencies downgraded the company deeper into junk status. On Monday, the stock closed down about 50 percent from when Johnson took the helm. In one of the biggest signs of the board's disapproval of Johnson's performance, Johnson saw his 2012 compensation package plummet nearly 97 percent to about $1.9 million, according to an SEC filing last week. He didn't get any stock or option awards, or a bonus. In 2011, he had received a stock award worth $52.7 million on the day it was granted. The award was given to Johnson after he was named CEO and made a $50 million personal investment in the company. In yet another blow to Johnson's turnaround strategy, Vornado Realty Trust, one of Penney's biggest shareholders, sold more than 40 percent of its stake in the company last month. The company's chairman and CEO, Steve Roth sits on Penney's board. A court battle with department store Macy's Inc. over a partnership with Martha Stewart also has raised questions about Johnson's judgment. Macy's, which has had long-term exclusive rights to the Martha Stewart brand for products such as bedding and bath items, is trying to block Penney from opening Martha Stewart mini-shops, planned for this spring. Macy's contends that Penney's deal with Stewart infringes on its own deal with the home maven. If Penney loses, it will have to take a big loss on the products that it ordered from Martha Stewart Living. During the fourth quarter that ended Feb. 2, Penney's loss widened to $552 million, or $2.51 per share, up from a loss of $87 million, or 41 cents per share a year ago. Total revenue dropped 28.4 percent to $3.88 billion. Penney's results for the full year were even more staggering. For the fiscal year, Penney lost $985 million, or $4.49 per share, compared with a loss of $152 million, or 70 cents per share, in the year ended January 28, 2012. Revenue fell 25 percent, to $12.98 billion, from the previous year's $17.26 billion. While acknowledging that Penney made some mistakes during the fourth-quarter conference call with investors, Johnson said Penney would start offering sales in stores every week -- about 100 of the 600 or so the chain offered each year prior to his turnaround plan. And it would bring back coupons. Critics have said that one of Johnson's greatest missteps was that he didn't test the pricing plan with shoppers before rolling out the strategy. He argued that testing would have been impossible because the company needed quick results and that if he hadn't taken a strong stance against discounting, he would not have been able to get new stylish brands on board. "Experience is making mistakes and learning from them, and I have learned a lot," Johnson said at the time. "We worked really hard and tried many things to help the customer understand that she could shop any time on her terms. But we learned she prefers a sale. At times, she loves a coupon." During his tenure, Johnson had spoken of being around for the long-haul and referred to his plan as a multiyear strategy. His plans were only partially realized. Shops for Joe Fresh, featuring brightly colored clothes were launched last month. A new home area sporting names like Jonathan Adler and Michael Graves will be launching this spring. Other brands were expected to be unveiled in coming years as the stores transformed into a collection of up to 100 mini-shops. But the company's board wasn't willing to wait to see how those plans would turn out after racking up such severe losses so quickly. Now, that Johnson is out, the worry on Wall Street is that Ullman won't be able to turn around business fast enough. "Ullman is in a crisis zone," said Sozzi. "This is not a normal situation. He has a short window to get in and see what's wrong with the company and put a Band-Aid on the fundamental problems." Associated Press Business Writers Candice Choi and Joseph Pisani contributed.